Are your cooling costs sky-high and does your house still feel like a sauna in the summer? When it’s time to replace windows, many people chose vinyl replacement windows. In this blog, read about the 5 benefits of vinyl windows. Summer is a great time to have new windows installed. The weather is gorgeous outside and by hiring a professional contractor; your project will be completed quickly and efficiently. Summer has just begun, so have your new windows installed soon to enjoy comfortable indoor temps and lower cooling costs all summer long! We, at The Chuba Company – an A+ company through the BBB – pride ourselves in offering our clients professional, no-hassle construction services. It’s our goal to provide our customers with a seamless experience no matter their remodeling projects. We’ll handle your project from beginning to end, creating as little stress for you as possible. Contact The Chuba Company today to explore your options for vinyl replacement windows and look forward to hot summer day. Did you know that we’re on Facebook, Pinterest and Houzz? 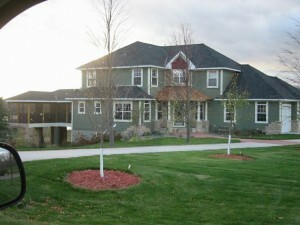 Connect with us and view our gallery of projects to see what The Chuba Company can do for your home!